The INL Monthly Research Round Up Newsletter. 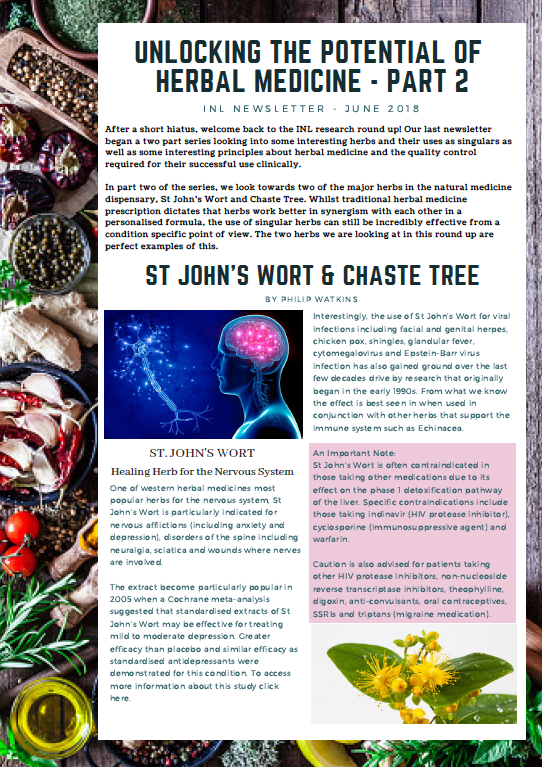 Our monthly email newsletter has become a popular source of information for our practitioners and you can sign up by filling out the form on our home page or clicking on the button below. If you missed out on some of the previous issues of the newsletter then feel free to download the last instalments directly to read in your own time. Thank you! We're grateful to have join the education group. We won't spam you with products or email offers just information that we feel would be practical for you and your patients.